A couple weeks ago Resolute-bakced BlockBeacon launched its iPhone app. It’s a cool app. I like it because it gives me real time information I really want but can’t easily find elsewhere. (Right now it’s only fully “live” in SoCal, but they’re getting to the ROW quickly). One of the awesome things about the Internet these days is receiving real-time information. I get real-time updates of what Hunter Walk is reading/doing/thinking. I get real-time play-by-play updates of Eagles and Sixers games. I get notified when Howard Morgan is at the gym (seriously the guy goes to Equinox every day), and when other VCs are meeting with LPs I know (I have a fun “gotcha” on this one but it is not fit for print…) When wars are breaking out, when Farrah Fawcett died, when athletes get traded, what Facebook’s stock is trading at, etc etc. You all know what I mean. We live in a digital world, and that world is increasingly becoming a real-time one too. But there are pockets of my life where, much to my frustration, the information I can get off the Internet is weeks if not months old. Aargh! I’m used to knowing what is going on NOW, and I hate it when I can’t. Local listings top this list. You know the chalkboards restaurants put out front telling you all the day’s specials? Or the yummy prepared meals Whole Foods has cooked up for dinner tonight? Or a cool happy hour to pull a group together for after work? Yelp doesn’t give me any of this. Sure, the restaurants/bars/merchants in my neighborhood are jumping on the Twitter and Facebook bandwagon, and some are starting to do a pretty good job posting interesting, fun and relevant stuff. But am I really going to follow the 40 local merchants I care about? Why can’t I just have an app that gives me the realtime feeds for the merchants around me, whether I’m home or on the road? Bingo. 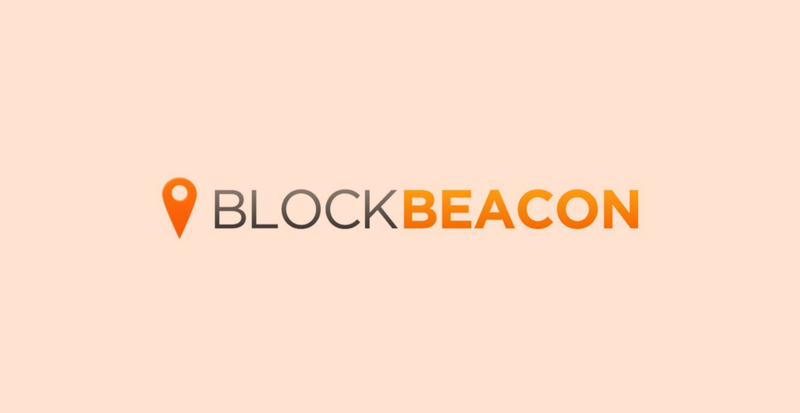 That’s BlockBeacon. I think it’s a great idea. Go check it out, and let us know what you think! (If you are a merchant and want to be included, go here; and if you are a potential partner, contact the company).